The McDonald's Food Carrier We Never Knew We Needed. It's Also Shaped Like My Melody. The McDonald’s Food Carrier We Never Knew We Needed. It’s Also Shaped Like My Melody. 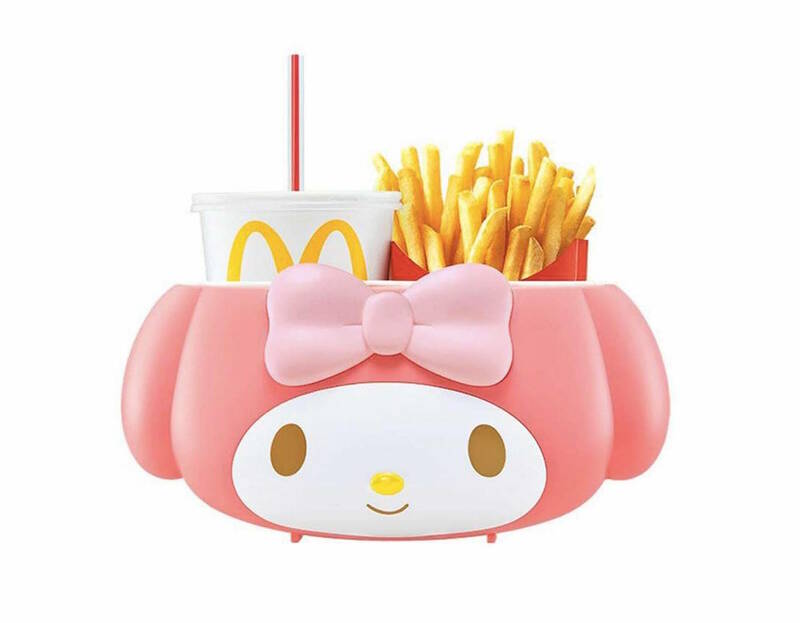 Dabao-ing your meal from Macs just got way easier with this kawaii food holder. McDonald’s first launched a My Melody food holder in Japan, and now they will be available at our local Macs too! Here’s another Sanrio collectible that My Melody fans would love to add to their collection. 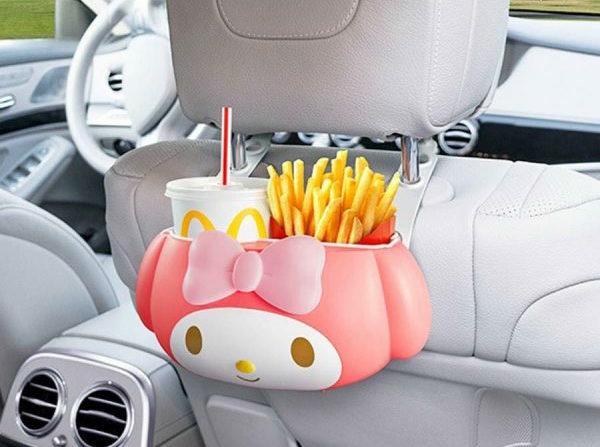 The holder is divided into two to hold a drink cup and a packet of fries, but you can also use it to fit McFlurries and burgers with a little wiggling. Each holder costs $6.90, with the pictured food not included (duh). And we’re actually getting the holder cheaper than the Japanese folks, who have to cough up 890¥ for the same holder, which converts to about $10.70. Another reason we’re definitely joining the queues to get one! There is a strap for you to tote the holder around, which makes it so much sturdier than those brown paper bags Macs likes to give when you take away your food. And when you get to your car, you can easy just hook it onto the back of your headrest! The straps unbuckle into two hanging straps, and they’ll hold your drinks upright without fear of it spilling over when you’re racing to get home. Long queues are to be expected (as always), and the holders will be available from 4am on 6 Dec. That’s tomorrow, by the way. You can also get more for friends or as gifts as each customer is allowed to order up to 5 pieces. Other than this adorable My Melody holder, McDonald’s is also launching two new burgers for their Signature Collection. The Angus Mushroom Supreme will be making a long-awaited return, while the Angus BLT makes it debut. The Angus BLT is a spin on a classic combo, pairing the 100% Angus beef patty with crisp chicken bacon and cheddar cheese. Bacon is always a good idea, especially in burgers! Both burgers are available as a Extra Value Meal with Fries and a drink from $8.95. You can also choose to pair your meal with potato wedges instead of fries. The thick chunks of potatoes are golden and cripsy on the outside, but warm and mushy on the inside – super satisfying! To wrap up the meal, go for one of the two new McFlurries. The Chocolatey McFlurry is mixed with Hershey’s chocolate for a creamy soft serve, while the Choco Wonderland McFlurry is vanilla soft serve drizzled with hot fudge and mixed with chocolate dips and Coco Pops. The My Melody Holder is only available at McDonald’s outlets for purchase at $6.90 with any order, and doesn’t include any food. Available today, while stocks last.